Belfast is fast becoming a foodie’s paradise and is gaining a reputation for innovative cooking with wonderful fresh, local produce. The city is full of a whole range of eateries; from fine dining restaurants, to fantastic delis, gastro-pubs and cosy bistros. In recent years Belfast has been put on the food map with great restaurants including Ox, Shu and Deanes at Queens. 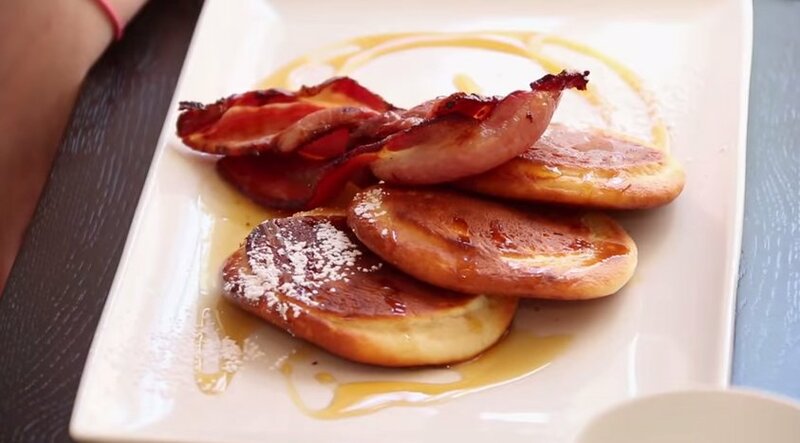 At Tara Lodge, a superb boutique hotel in south Belfast, in the Queens Quarter, as well as offering four star hotel bedrooms, we take great pride in offering an outstanding breakfast. 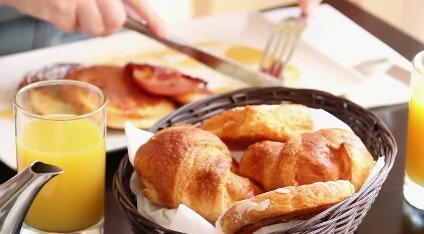 Many hotels offer a disappointing hot buffet display but each one of our hot breakfast dishes is freshly prepared, for each one of our guests. Our breakfast chef, Colin Douds, is often heard reminding the team of his motto ‘five star standards guys’! And Colin definitely has five star standards when it comes to the Tara Lodge a la carte breakfast. He understands the importance of using excellent, locally produced food to ensure the best quality ingredients. Our breads are delivered daily from Hyndmans Bakery; wheaten, soda, potato breads and pancakes of the finest quality. Our bacon and sausages come from JH Givans, who have been providing the finest pork products since 1938. Our eggs are laid just up the road and brought to us by the Caldwell Bros. Ltd. The freshly laid eggs make wonderfully fluffy omelettes! Our porridge has become famous among our guests who often ask for the recipe. Made with Irish porridge oats and milk, Colin whisks the porridge to perfection, giving it a lovely light, frothy texture. Served with a choice of seasonal berries, banana & honey or a tot of Bushmills 10 Year Irish whiskey it’s a great start to your day. Ah the fabulous, Ulster Fry! 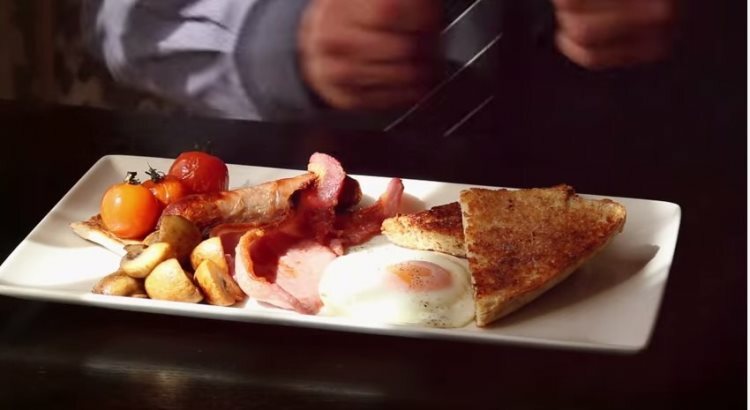 Slightly different to the Irish Fry, the Ulster Fry has the traditional soda and potato breads, along with the usual fried egg, bacon, sausage and tomato - Mushrooms and beans are optional! As well as the Ulster Fry we offer scrambled eggs with Irish smoked salmon and wheaten bread made with whole wheat flour and buttermilk, perfectly poached eggs on hot buttered toast, pancakes with smoked bacon and maple syrup (one of the few non-locally sourced ingredients! ), fluffy omelettes and the steadfast boiled eggs with soda bread soldiers. Breakfast is definitely the most important meal of the day at Tara Lodge. You’ll not be hungry until dinner time after you have had the power porridge and Ulster Fry but when you do we also offer dinner, bed and breakfast packages with two great restaurants, Shu Restaurant and Deanes at Queens – our long term favourites!